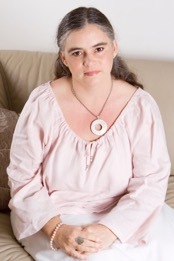 Monika Wilson, as a researcher, teacher and counsellor, has specialised in the areas of grief, bereavement and palliative care for twenty years. This has included teaching grief and palliative care in academic settings and palliative care organisations. Her training combines up to date research, practical skills development, and a heartfelt and honest approach which resonates with peoples’ lived experience of loss and suffering. Community education about grief through funeral homes, local libraries and community centres has also featured in Monika’s vocational life. Whilst working in a community hospice, Monika successfully carried out a project in - Building Supportive Communities: Providing education, information and support for the grief and spiritual needs of dying people and their families. Another government grant enabled the Confident Caring Project – caring for people with Motor Neurone Disease, where Monika worked for MNDA and MND Qld for several years, supporting people and families living with MND. She was named the recipient of the Ian Maddocks Palliative Care Award for the youngest researcher in palliative care. For the last eight years, in her private practice - ReConnections, she offers services to people experiencing loss, illness and the end of life, and holds several contracts with local community organisations and aged care settings.